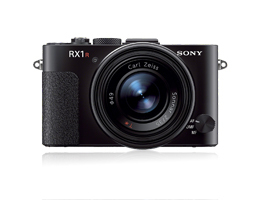 After the initial excitement of the RX1 with its full-frame 36x24mm CMOS sensor and high-quality Carl Zeiss 35mm f/2.0 lens the firm recently revealed a new model, the RX1R. Whereas the original model featured a 24.3 Mpix CMOS sensor with an OLPF (optical low pass filter) this new variation to the range lacks the filter for improved resolution and image sharpness, without any blurring or dispersion it’s claimed. Sony also states the camera’s image processing has been optimized for sharpness and that that moire and color artifacts may be visible as a result under certain conditions. Be that as it may all other aspects of the camera’s features including the small size 113 x 65 x 70 mm (4.45 x 2.56 x 2.76″), weight 482 g (1.06 lb / 17.00 oz)and price of $2,799 remain unchanged. 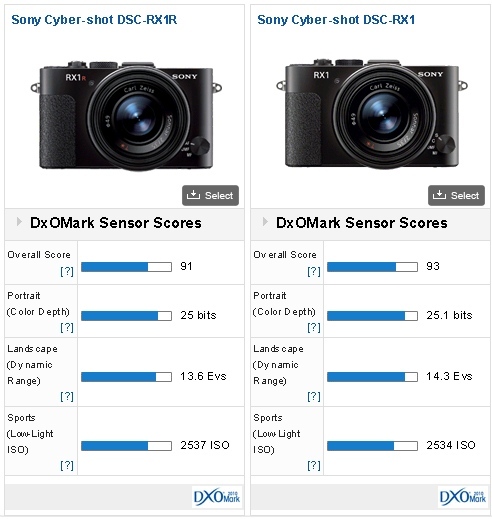 With a DxOMark Sensor score of 91 points the new edition Sony RX1R with its proprietary full-frame 24.3Mpix CMOS sensor scores very highly, and ranks in 6th place overall in our database. 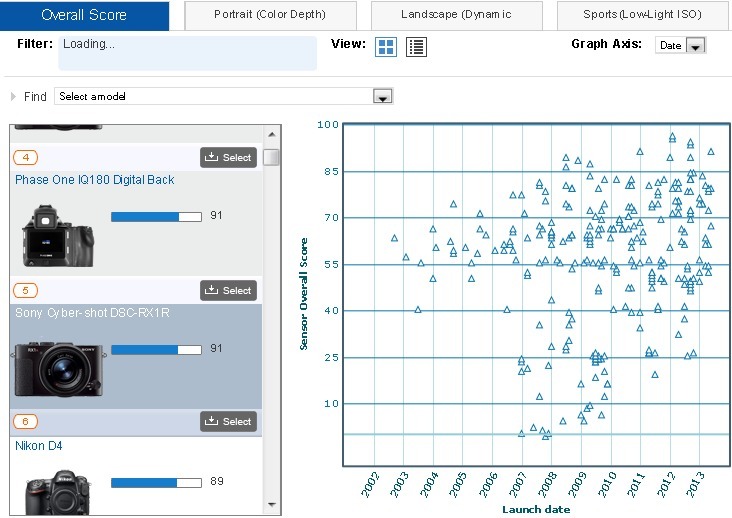 In fact it sits immediately above Nikon’s top-of-the range professional D4 model (ranked 7th) with 89 points and level with the MF Phase One IQ180 digital back (also scoring 91). It’s not just the DxOMark score of 91 points that stands out; every aspect of the sensor performance is terrific. There are no specific weaknesses revealed from our sensor tests. The excellent Color Depth of 25 bits at base ISO will deliver nuanced shades, while the Dynamic Range of 13.6Evs is very good, though not quite at the level of the Nikon D600 (at 14.3Evs), for example. As a full –frame sensor you would expect the he Sony’s Low light score to be excellent and it is at 2537 ISO. Comparing the two models side-by-side we can see that the lack of an OLPF has impacted the sensor performance somewhat. Remember, we’re not testing resolution here (although we will be publishing the results of that separately, with the R1XR / Carl Zeiss Lens review) but the results are somewhat disappointing for the Dynamic Range, dropping some 0.7 Stops at base ISO over the original model. In practice though this ought not to be noticeable. Without a doubt with it’s small size, full-frame sensor and the fixed view from the Zeiss 35mm f/2 lens the Sony RX1 was a intriguing model when it was introduced and this new addition to the range is a promising addition. we’ve yet to see if there’s any increase in resolution, we are optimistic and it’s good see makers like Sony take the initiative with special editions and offer the choice.